What is Flash Map One? FlashMapOne provides a most effective interactive map solutions for your project. Use FlashMapOne, you can create animated, interactive and data-driven Flash Maps for your dynamic web applications. That is a collection of vector maps are driven by XML, can easily be integrated with any scripting language (ASP.NET, ASP, PHP, JSP, CF etc.) also and other presentations project. 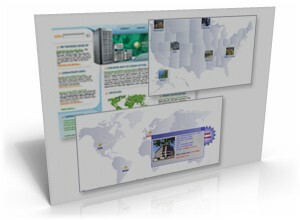 FlashMapOne suitable for use in websites, interactive map applications, presentations, and more. User's Guide, XML Reference and Map Gallery are shipped both with downloadable version of component . Introduces all detail about how to use FlashMapOne. Check out samples of our products that may be specially useful for you, and see what other people in your industry is doing with our products.